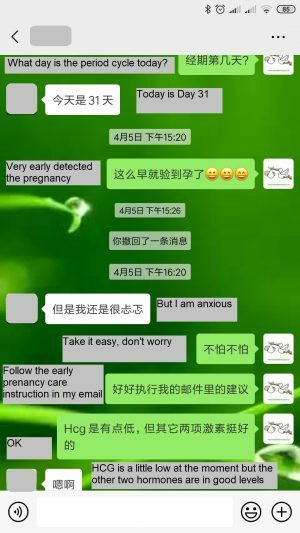 Ms. L.W has confirmed pregnant on Day 31 by the HCG blood test on 5th April 2019, at the very early stage of pregnancy! 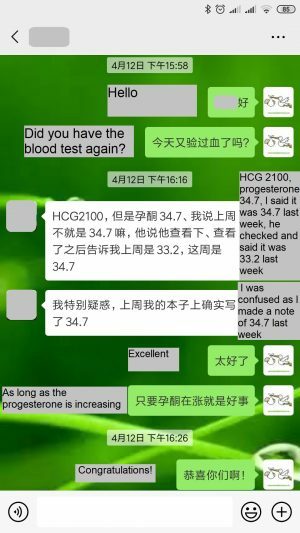 And the pregnancy was further proven by another HCG test on 12th April Day 38, along with the increasing Progesterone and Estrogen! Congratulations to Ms. V.T’s pregnancy in November 2018! 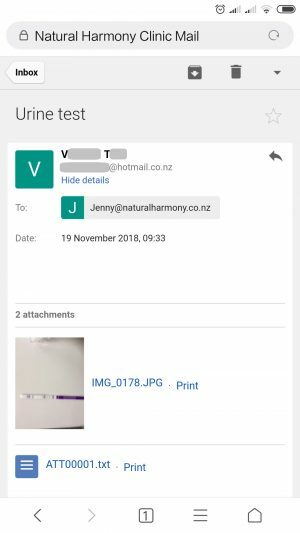 Ms V.T found herself pregnant NATURALLY by the urine test on 19 November 2018! 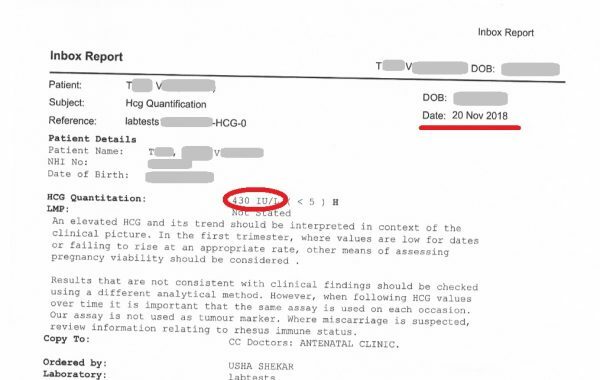 And the pregnancy was confirmed by the HCG reading of 430IU on 20/11/2018! 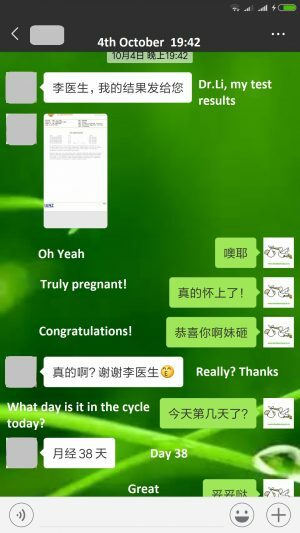 Congratulations to Ms. I.B’s pregnancy in October 2018! 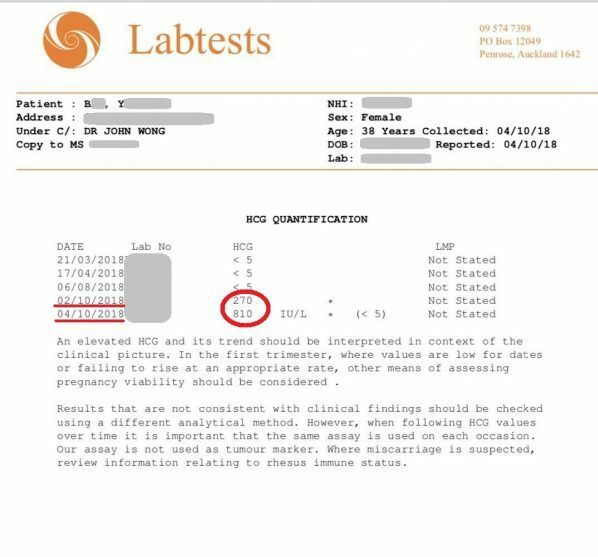 Ms. I.B confirmed her natural pregnancy by HCG blood test on 04/10/2018! The HCG level raises fast and steadily! 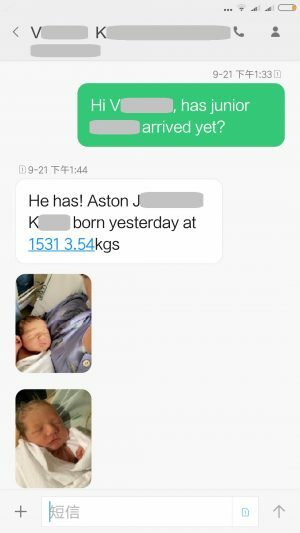 Congratulations to your arrival baby Aston! 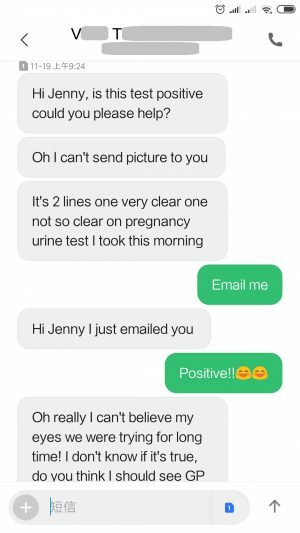 “I wanted to show how much I appreciated Jenny’s healing and advise for my case so others can hopefully read and experience miracles too. My story is below. “I got married in March 2017 and my husband and I decided a couple of months later we would like to start a family together. I had been on the Depo Provera contraceptive injection for ten years and had the last one not long before our wedding. Being on this injection you do not experience any regular cycles or bleeding. I knew to give it six months to get it out of my system then was hoping for a cycle to take place but this never happened. “I went to see a gynaecologist who sent me for an ultrasound and blood test and said that my endometrium lining was very thin at only 1mm, and it would take a long time to get my cycles back. 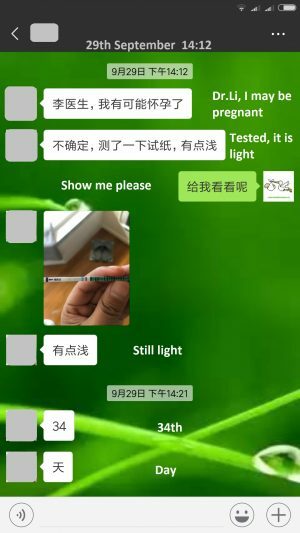 I started to do my own research and found Jenny Li’s clinic, she looked very knowledgeable and experienced so I was very keen to meet her and made an appointment for a few days later. “I had my first acupuncture session on the 16/08/2017 and continued to see her once a week. She recommended I started a herbal treatment as well because my lining was so thin and my job made me exhausted. I started this treatment on the 07/09/2017. Then on the 17/10/2017 I experienced my very first menstrual cycle in over ten years! This was only after two months of acupuncture and a month of taking the herbal medicine! “We decided to wait one cycle before trying for a baby and started trying the next cycle while I continued acupuncture and the herbal medicine. 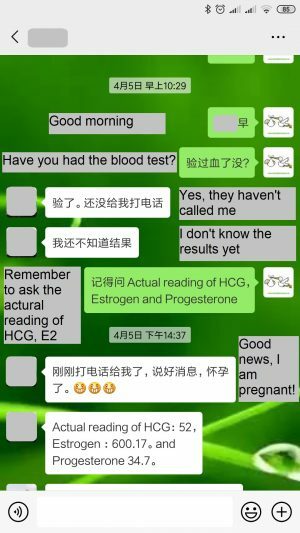 On the 16/01/2018 I found out that I was pregnant and on the 18/01/2018 my HCG was 230. I am currently 13 weeks pregnant with a little boy due in September 2018.